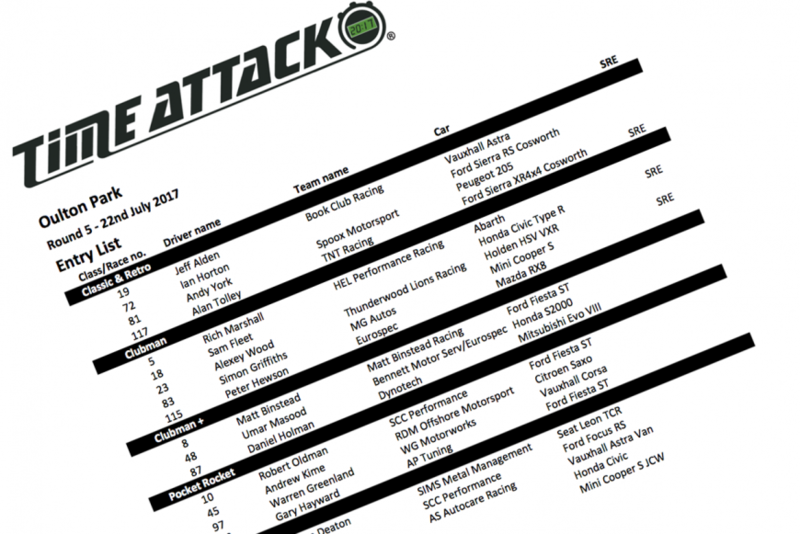 Round 5 Oulton Park entry list - Time Attack® - It's not racing... It's Time Attack!! 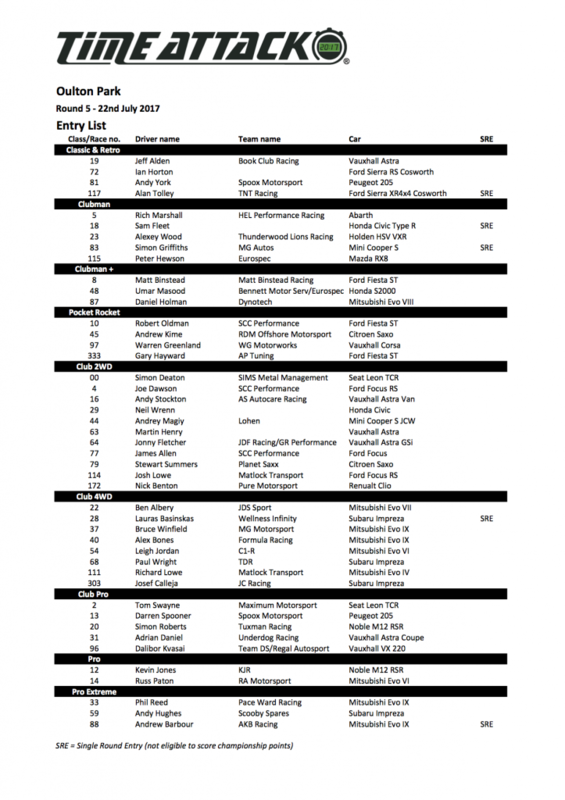 With new lap records being set at rounds 1,2 and 4 of Time Attack at Cadwell Park, Snetterton and Donnington round 5 should be very competitive.